The gift of a scholarship is transformative. For the student, it means the chance to embark on a legal career and achieve a lifelong goal. For the donor, it is an opportunity to gain the satisfaction of knowing that you have made a profound difference. With the increasing costs of attending law school and the rigorous competition for top students among our peers, the need to expand our scholarship program is urgent. Around 50 percent of students receive some form of Hofstra Law scholarship assistance. Through your gift, you have the opportunity to impact both the life of a single student and the broader reputation of Hofstra Law. 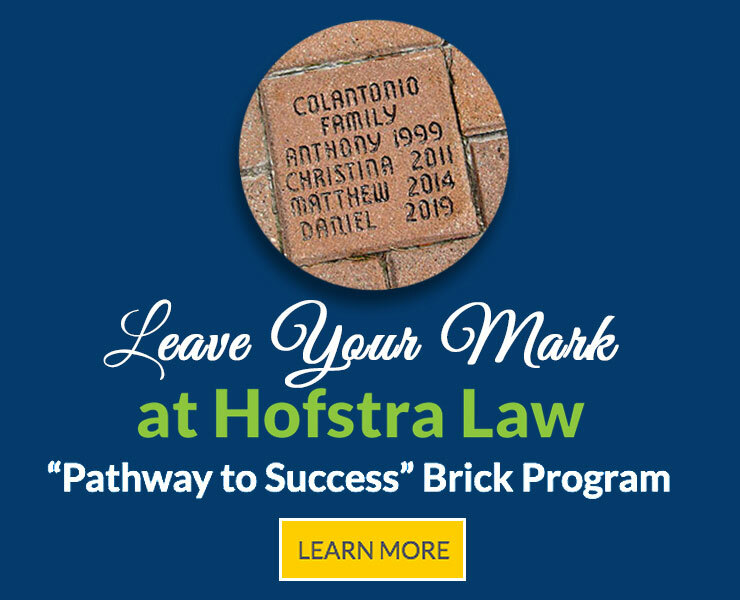 Hofstra Law Scholarship Fund: Your gift to the Hofstra Law Scholarship Fund supports our annual scholarship budget, counts toward our annual fundraising goal and boosts our alumni participation rate. Annual Named Scholarships: Your gift of $5,000 or more each year establishes an ongoing named scholarship for a student. Endowed Named Scholarships: Your gift of $100,000 or more to name an endowed scholarship represents a lasting, permanent commitment and ensures that each year students benefit from your financial assistance. Endowed gifts may be pledged up to five years. Through the generosity of donors, we are able to provide annual awards to current or graduating students to recognize their law school accomplishments or to encourage their interests in particular areas of law.